From their cult classic MTV show to their current grip on TV and movies, there's no denying the massive reach and influence of the comedy troupe known as the State. Now, their entire story will be documented with a new book. Even if you don't know the State by their comedy troupe name, you surely know them by their members. The comedy collective includes Michael Ian Black, Michael Showalter, David Wain, Joe Lo Truglio, Ken Marino, Thomas Lennon, Robert Ben Garant, Kerri Kenney-Silver, Todd Holoubek, Michael Patrick Jenn and Kevin Allison. 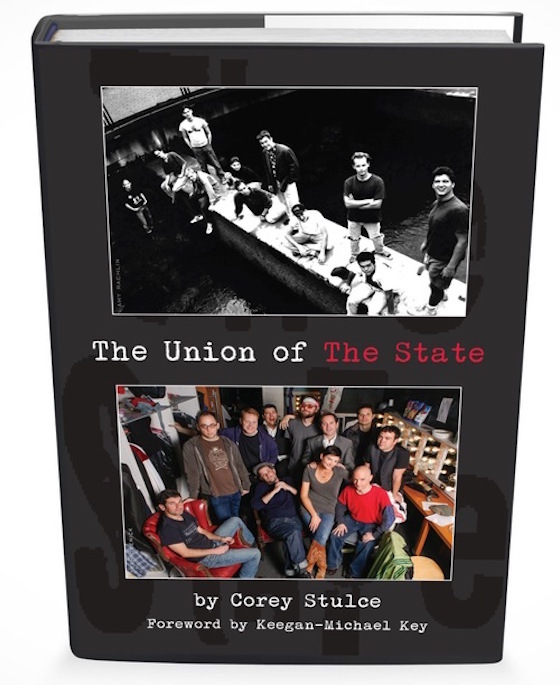 The book is called The Union of the State, and serves as a comprehensive oral history of the group. It was written by Corey Stulce, and in addition to the members of the group it also features commentary from the likes of Paul Rudd, Keegan-Michael Key, Chris Meloni, Janeane Garofalo, Rob Corddry, A.D. Miles and many others. The Union of the State will arrive on May 3. It can be pre-ordered in in hardcover, softcover and for Kindles.